Our shop, located just off of the square in the heart of historic downtown Claremont, is a feast for the senses. Come in, and the aroma of fresh spices assails you. Browse the spice wall, open any of the sample jars provided, and think of how that spice would work in a new dish. The palette of colors the spices provide lets you know that they are fresh. Then be surprised by the price! We specialize in bringing fresh spices to market at an affordable price. Gone are the myriad costs incurred by the big spice companies that make prices so high in the retail stores. We buy gourmet quality spices, pack them in house, and provide smaller quantities of fresh spices for the home cook, as well as larger quantities for local food purveyors. We date all of our spice packages, and spices that exceed the shelf date of 3 months are donated to charities, ensuring that your spices are fresh when purchased. Rather than buying that big jar to save money and finding it in the back of the cupboard 10 years later, come here and buy what you need. We package spices in as small as 1/4 ounce quantities. If you want to stock up or try a new dish, you can now do it without the high cost. Looking for that obscure spice? we probably have it. 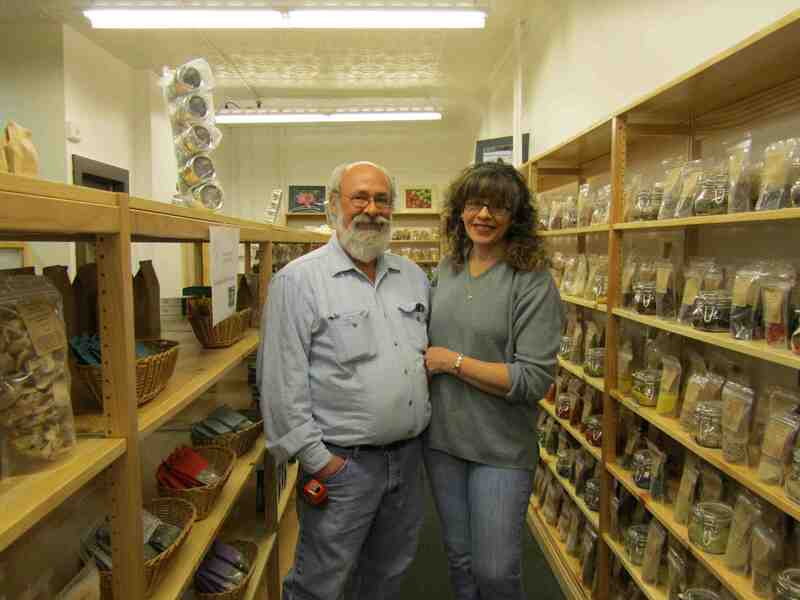 With 200 kinds and grinds of spices, sea salts, and blends, we have the largest selection in the area. If you don’t find it let us know, and we’ll try to find it for you. Don’t forget the locally produced items we carry as well. Fresh roasted coffee from New Hampshire Roasters, A&E loose leaf tea from Amherst, NH, Sidehill Farms Jam from Brattleboro, VT, Everts Maples Flavor Infused Maple Syrup from Claremont, Vermont Hills Teryaki Sauces, and more. Fresh, and artisan made, these products are a treat!